Buffett shared his views on the recent market volatility and overall economy during an interview on CNBC. Warren Buffett likes down days “because we buy ‘em cheaper.” But, other than that, he doesn’t pay much attention to market volatility. That being said, he doesn’t necessarily see the recent pullback in the markets as a reason to be buying. “We’re buying because we like what we’re buying in relation to its long-term prospects,” he told CNBC. To Buffett, the economy may not be as strong as the most recent numbers look. That’s why Buffett warns about getting “too excited” when looking at the quarterly GDP statistics, which he sees as misleading. 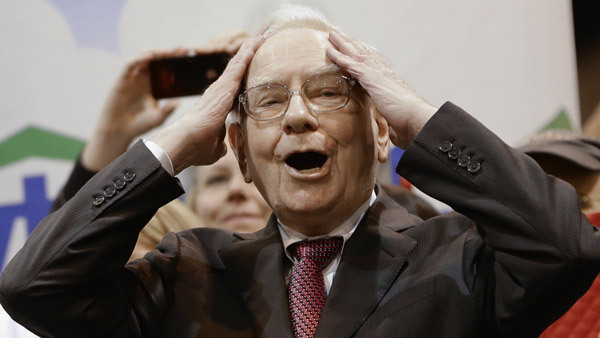 Buffett is worried, though, about the effect a rate hike could have globally.